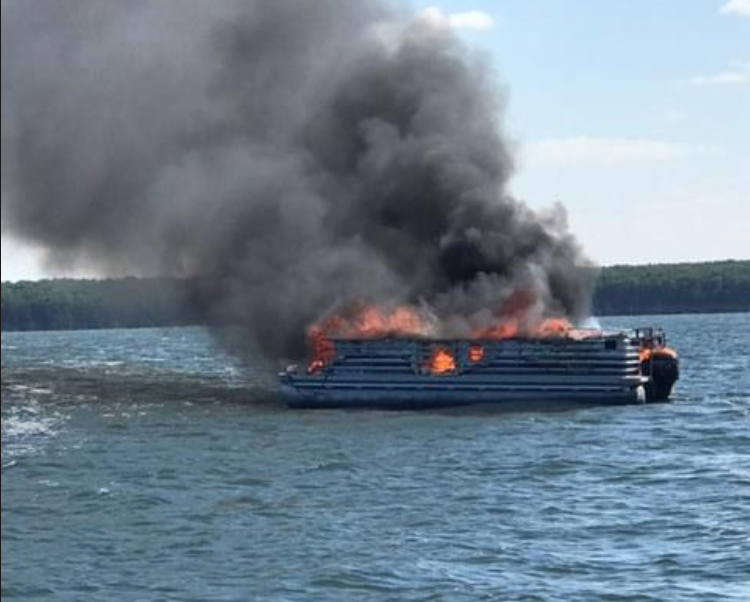 About 30 boats came to the rescue of a Minto, N.D., man, his daughter and the family dog after their pontoon erupted in flames on Devils Lake. They got off as fast as they could. His daughter grabbed the dog and threw it off the pontoon and into the water before jumping in herself, he said. Wearing life jackets, the three were able to swim away to a safe distance as the pontoon burned.